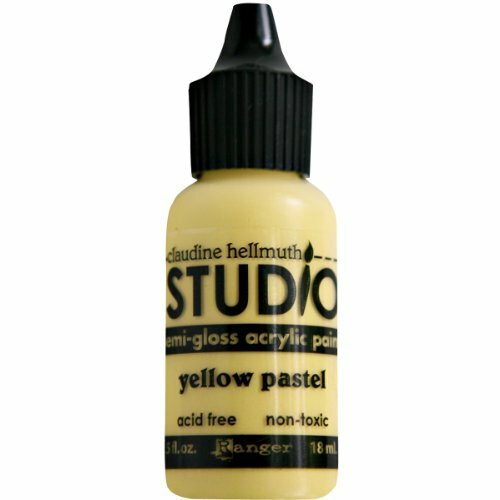 Claudine Hellmuth Studio Line Mini Paints .05 Ounces-Yellow Pastel RANGER-Claudine Hellmuth Studio: Mini Paints. This artist-quality semi-gloss acrylic paint can be used on paper; canvas; wood; and fabric. It is acid free; non-toxic; and waterproof when dry. This package contains one 0.5 fl.oz. bottle of paint. Available in a variety of colors (each sold separately). Made in USA. RANGER-Claudine Hellmuth Studio: Mini Paints. This artist-quality semi-gloss acrylic paint can be used on paper, canvas, wood, and fabric. It is acid free, non-toxic, and waterproof when dry. This package contains one 0.5 fl.oz. bottle of paint. Available in a variety of colors (each sold separately). Made in USA. 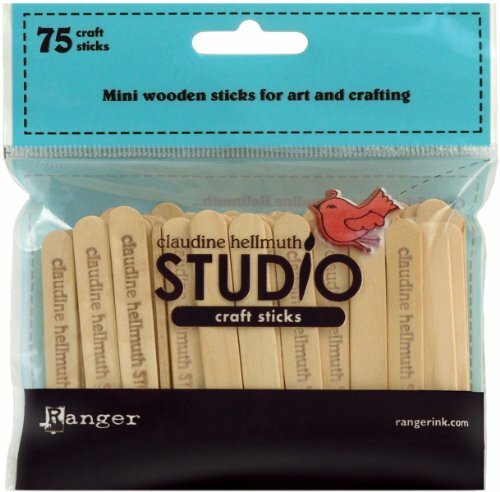 Ranger Claudine Hellmuth Studio Craft Sticks-2.5"
These craft sticks are ideal for working with paints, mediums, powders, and more! Use these handy tools for multiple art and craft applications. This package contains (75) 2-1/2" x 3/8" mini craft sticks. These Sticky-Back canvas sheets are acid free and non-toxic. Available in 8½ in. x 11 in. packs of 5 and in white or natural. It-s a self-adhesive canvas sheet that you can decorate with paints, inks and dyes, then cut out and stick onto canvasses, cards, scrapbook pages, and more. Sold as PACK OF 2. 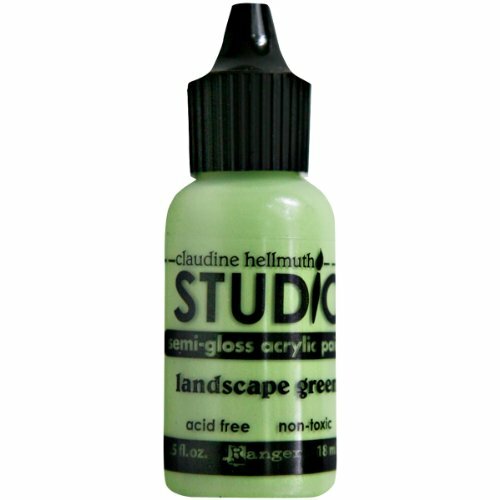 The claudine hellmuth studio line of semi-gloss paint is highly pigmented, artist quality acrylic paints for everyday crafting. Creamy in consistency. They can be mixed together for an endless palette of colors without becoming muddy. 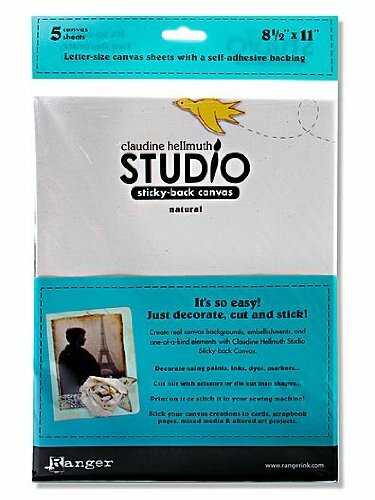 Use for painting on claudine hellmuth sticky-back canvas, paper projects, and more. Mix with water to thin and to create watercolor effects. Waterproof when dry. Acid free, non-toxic. Comes in 2 oz jar. Available in Sable Brown color. Collage artist and illustrator Claudine Hellmuth has teamed up with Ranger and Stampers Anonymous to bring you her signature whimsical style with the Creative Layers Stamp Collection! 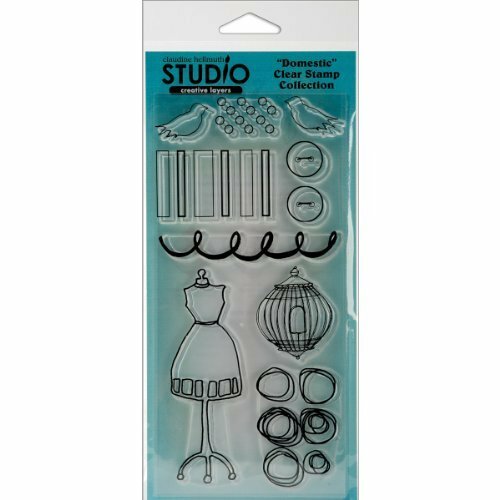 These adorable stamps are available in coordinating foam and clear versions for the ultimate in creative versatility. Foam stamps sold separately. This package contains (1) 8" x 3-3/4" sheet of clear stamps. Available in a variety of themes, each sold separately. Designs hand-drawn by Claudine Hellmuth. Size and number of stamps per package vary by theme. Use Studio Foam and Clear Stamps with Ranger inks, Claudine Hellmuth Studio Paints, Claudine Hellmuth Studio Mediums, and more. 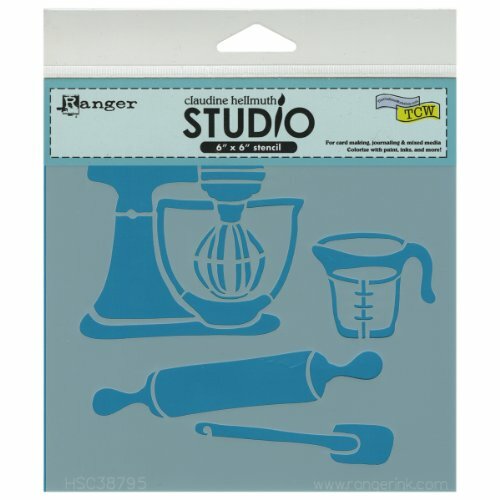 Claudine Hellmuth Studio Stencil Collection 6"X6" -Retro Kitchen RANGER-Claudine Hellmuth Studio Stencil. 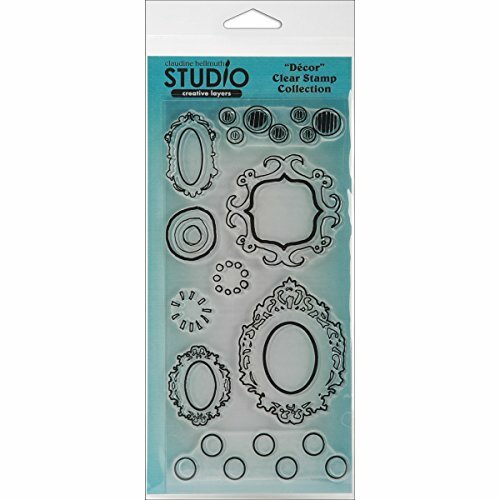 This stencil is great to use with paint; inks; sprays; mediums; embossing pens and powders. This package contains one 6x6 stencil. Available in a variety of designs; each sold separately. Made in USA. Looking for more Claudine Hellmuth Studio similar ideas? Try to explore these searches: Brown Macrame, Glasslock Food Storage Container, and Marine Mustang. Look at latest related video about Claudine Hellmuth Studio. Shopwizion.com is the smartest way for online shopping: compare prices of leading online shops for best deals around the web. 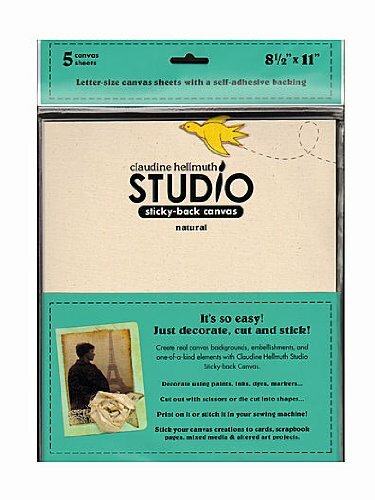 Don't miss TOP Claudine Hellmuth Studio deals, updated daily.